Despite Rives and Skye’s attempt to destroy Nil, the island remains. And back in this world, Nil won’t let Skye go. Haunted by a darkness she can’t ignore, Skye wrestles with Nil nightmares that worsen by the day and threaten to tear her apart. 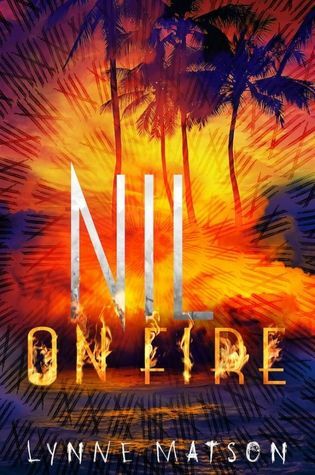 As Skye fights to keep her mind intact, she realizes that to finally break free of Nil, she must end Nil’s vicious cycle once and Despite Rives and Skye’s attempt to destroy Nil, the island remains. And back in this world, Nil won’t let Skye go. Haunted by a darkness she can’t ignore, Skye wrestles with Nil nightmares that worsen by the day and threaten to tear her apart. As Skye fights to keep her mind intact, she realizes that to finally break free of Nil, she must end Nil’s vicious cycle once and for all—and she can’t do it alone. Who are Nil’s new arrivals? Who will return to the island? And who will survive in the end? In this final installment of the Nil series, the stakes have never been higher. Published May 31st 2016 by Henry Holt and Co.